Thats all. Game finished - Montpellier 1, Bordeaux 3. Second Half ended - Montpellier 1, Bordeaux 3. Missed chance. Souleymane Camara - Montpellier - shot with the head from the centre of the box goes high. Assist - Keagan Dolly with a cross . Nicolas Cozza - Montpellier - won a free kick on the left wing. Jaroslav Plasil - Bordeaux - won a free kick in defence. Corner - Montpellier. 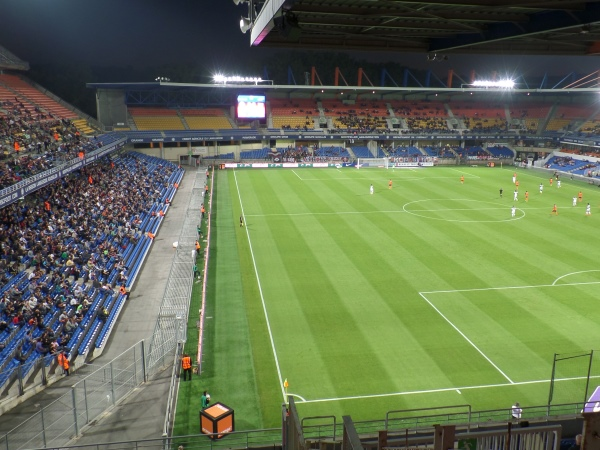 Conceded by Benoit Costil. Penalty saved! Souleymane Camara - Montpellier - fails to capitalise on this great opportunity, shot with right foot saved in the right corner. Penalty conceded by Théo Pellenard - Bordeaux - after a foul in the penalty area. Penalty Montpellier. Paul Lasne draws a foul in the penalty area. Goal! Montpellier 1, Bordeaux 3. Ellyes Skhiri - Montpellier - shot with right foot from outside the box to the top right corner. Assist - Souleymane Camara. Shot blocked. Keagan Dolly - Montpellier - shot with left foot from outside the box is blocked. Assist - Ellyes Skhiri. Corner - Montpellier. Conceded by Soualiho Meité. Missed chance. Casimir Ninga - Montpellier - shot with right foot from the centre of the box missed. Assist - Keagan Dolly. Missed chance. Keagan Dolly - Montpellier - shot with left foot from outside the box is close, but missed. Assist - Ellyes Skhiri. Shot blocked. Keagan Dolly - Montpellier - shot with left foot from outside the box is blocked. Goal! Montpellier 0, Bordeaux 3. Soualiho Meité - Bordeaux - shot with right foot from the centre of the box to the right corner. Assist - Diego Contento. Missed chance. Pablo - Bordeaux - shot with the head from the centre of the box goes high. Assist - Malcom with a cross after corner. Substitution - Bordeaux. Théo Pellenard for Valentín Vada. Corner - Bordeaux. Conceded by Pedro Mendes. Missed chance. Nordi Mukiele - Montpellier - shot with the head from the centre of the box goes high. Assist - Keagan Dolly with a cross. Corner - Montpellier. Conceded by Pablo. Corner - Montpellier. Conceded by Youssouf Sabaly. Shot blocked. Nordi Mukiele - Montpellier - shot with left foot from the right side of the box is blocked. Assist - Paul Lasne. Offside - Montpellier. Daniel Congré with a pass, however Souleymane Camara is in offside. Missed chance. Isaac Mbenza - Montpellier - shot with right foot from outside the box missed to the left. Assist - Paul Lasne. New attacking attempt. Isaac Mbenza - Montpellier - shot with right foot from the right side of the box is saved by goalkeeper in the centre of the goal. Assist - Casimir Ninga. Substitution - Bordeaux. Soualiho Meité for Younousse Sankharé. New attacking attempt. Pablo - Bordeaux - shot with the head from the centre of the box is saved in the top left corner. Assist - Malcom with a cross. Missed chance. Paul Lasne - Montpellier - shot with left foot from outside the box goes high. Assist - Ellyes Skhiri. New attacking attempt. Ellyes Skhiri - Montpellier - shot with right foot from outside the box is saved in the right corner. Substitution - Bordeaux. Malcom for François Kamano. Substitution - Montpellier. Casimir Ninga for Giovanni Sio. Substitution - Montpellier. Souleymane Camara for Ruben Aguilar - injury. 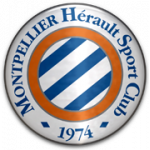 Delay in match Ruben Aguilar - Montpellier - - injury. Delay in match Lukas Lerager - Bordeaux - - injury. Paul Lasne - Montpellier - receive yellow card for a foul. Lukas Lerager - Bordeaux - won a free kick in defence. Nordi Mukiele - Montpellier - won a free kick on the right wing. Daniel Congré - Montpellier - won a free kick in defence. Goal! Montpellier 0, Bordeaux 2. François Kamano - Bordeaux - shot with right foot from the left side of the box to the right corner. Assist - Lukas Lerager. Nicolas Cozza - Montpellier - receive yellow card for a foul. Missed chance. Martin Braithwaite - Bordeaux - shot with the head from the centre of the box missed. Assist - Younousse Sankharé with a cross. Substitution - Montpellier. Keagan Dolly for Jonathan Ikone. Second Half starts Montpellier 0, Bordeaux 1. First Half ended - Montpellier 0, Bordeaux 1. New attacking attempt. Ruben Aguilar - Montpellier - shot with right foot from the right side of the box is saved by goalkeeper in the centre of the goal. Assist - Paul Lasne with a head. Giovanni Sio - Montpellier - receive yellow card for a foul. Youssouf Sabaly - Bordeaux - won a free kick in defence. Valentín Vada - Bordeaux - won a free kick in defence. Missed chance. Giovanni Sio - Montpellier - header inside of six yard box - left side is high and wide to the left. Assist - Ruben Aguilar with a cross. Offside - Montpellier. Ellyes Skhiri with a pass, however Ruben Aguilar is in offside. Benoit Costil - Bordeaux - won a free kick in defence. Paul Lasne - Montpellier - won a free kick in attack. Shot blocked. Martin Braithwaite - Bordeaux - shot with right foot from outside the box is blocked. Pablo - Bordeaux - won a free kick in defence. Shot blocked. Nordi Mukiele - Montpellier - shot with right foot from more than 35 yards is blocked. Martin Braithwaite - Bordeaux - receive yellow card for a foul. Pedro Mendes - Montpellier - won a free kick in attack. Ruben Aguilar - Montpellier - won a free kick in defence. 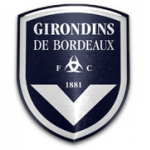 Delay in match Diego Contento - Bordeaux - - injury. Shot blocked. Giovanni Sio - Montpellier - shot with left foot from outside the box is blocked. Assist - Ellyes Skhiri. Shot blocked. Nicolas Cozza - Montpellier - shot with left foot from outside the box is blocked. Assist - Giovanni Sio with a head. Shot blocked. François Kamano - Bordeaux - shot with right foot from the right side of the box is blocked. Assist - Valentín Vada. Goal! Montpellier 0, Bordeaux 1. Martin Braithwaite - Bordeaux - shot with the head from few metres to the centre of the goal. Assist - Pablo after corner. Shot blocked. Pablo - Bordeaux - shot with the head from the centre of the box is blocked. Assist - Valentín Vada with a cross. François Kamano - Bordeaux - won a free kick on the left wing. Shot blocked. Isaac Mbenza - Montpellier - shot with right foot from outside the box is blocked. Jules Koundé - Bordeaux - receive yellow card for a foul.